This delicious Bordeaux is from the Puisseguin Saint Emilion appellation, a satellite of the more famous region of Saint Emilion. 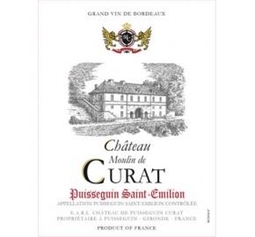 Planted to mostly Merlot, just like neighboring Saint-Emilion, Puisseguin St. Emilion produces lovely wines such as this pretty example with violets and cherries in the nose with a smooth, silky palate and flavor/texture that builds as the wines opens up. Once again, 2015 has proven to be an exceptional year for these petite château wines. Serve with roasted chicken, sausages, pasta, cheeses and cured meats.